The economic system has made a step ahead as trucks, buses, and trains have appropriate prices, maintenance cost, and revenue. Because of that, if you actually run a game it might make losses so you should watch your income. From 1950 on almost every transportation task can be put into practice. You get 76 planes and 40 ships. For the first time four trams are included which originally come from the openpak 128. Nevertheless development on this branch has started as the depot and the tracks are made by our authors. Meanwhile some additional buses are incorporated so players have 40 buses and 16 trucks for mail. There are numerous new buildings and replacements for elder graphics that do no longer fit to our standard. Some production data have changed so if you are actually running a game you should once more watch your income closely. Didi in the german forum has found a bug: The "Schwimmdock" (floating dock), doesn´t consume any shipsection and can so store only ten of them. 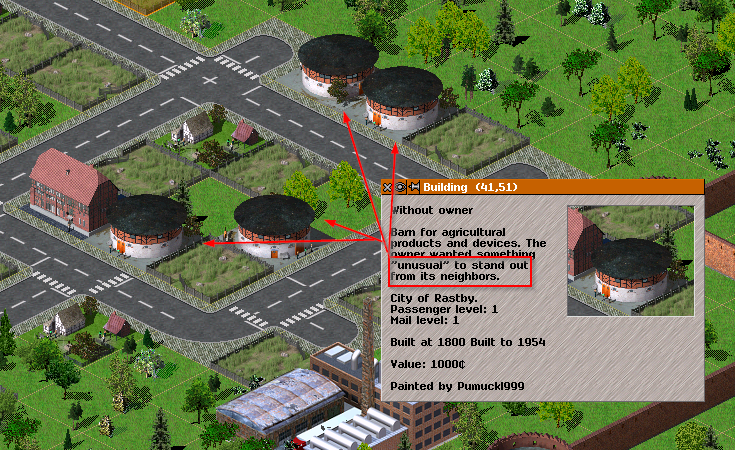 Reason: I´ve defined the dock not as the end-point of the yard-chain. 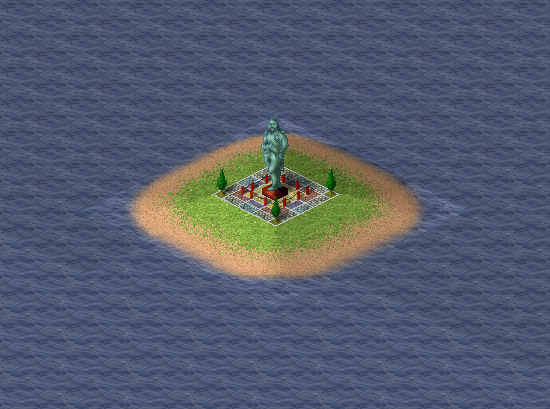 Important: If you replace the pak, after loading existing games with the dock, a click on the dock will crash the game. In new games that not should happens. While they don't need much space, the greatest soccer stadium in Germany does. 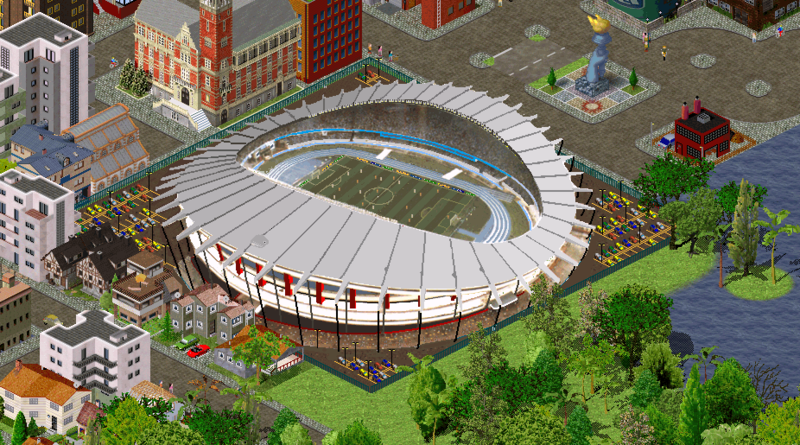 It certainly is the largest stadium in the simutrans world. 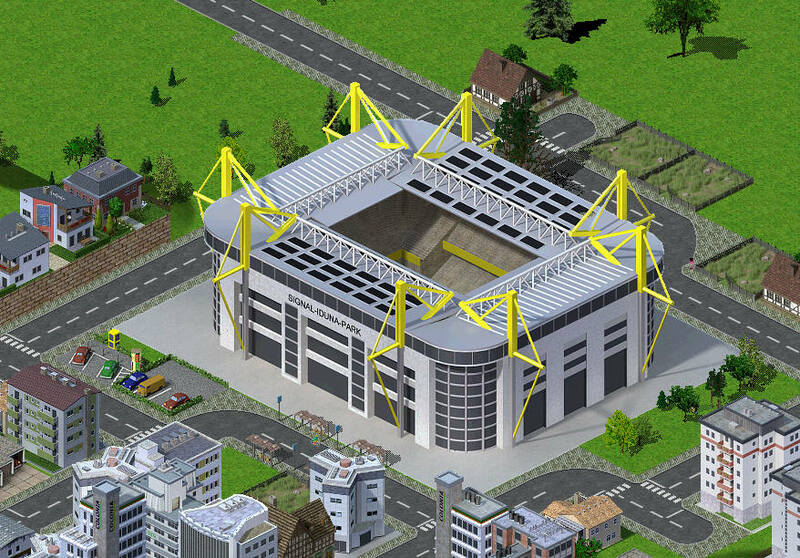 It certainly is the largest stadium in the simutrans world. Feel the mighty power of Estádio Olímpico do Pará or simply Estádio Mangueirão created by kcity. Regrettably, this pak is still not free software. All the other paks have converted. I would love to contribute but the sources are proprietary. I am sure there are many others who would love to help, too. So sad. The Football (Soccer) players/fans of Dortmund would be proud of that! Great picture/building mate!